It’s possible that, by drinking heavily and watching this movie, your handsome hosts might have summoned demons who used to rule the universe to come and take over the world. 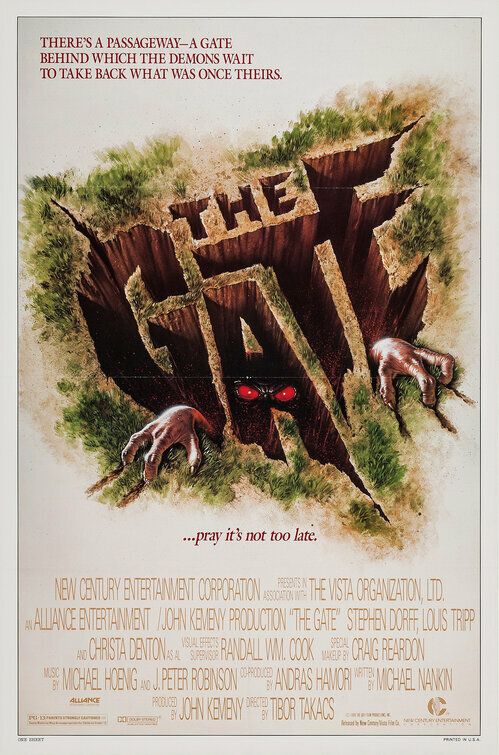 So spin your metal albums backwards and join Matt and Jason in the fires of their own hideous commentary on 1987’s The Gate. It’s an enjoyable descent into film facts, heavy metal memories, Matt’s VHS capers, the weird kid in the corner, childhood movie crushes, purple camels, rooster hairdos, backmasking, psychedelic ejaculate, undead Harryhausen and other “touching” moments. Just make sure you’ve launched your rockets at the end. That’s the best!